Well-made electronic office punch clock that resets for daylight savings, leap year, power outages. Automatically prints on any time card. Cartridge ribbon. Features six language options: English, French, Spanish, Italian, and others. resets when it comes back on. 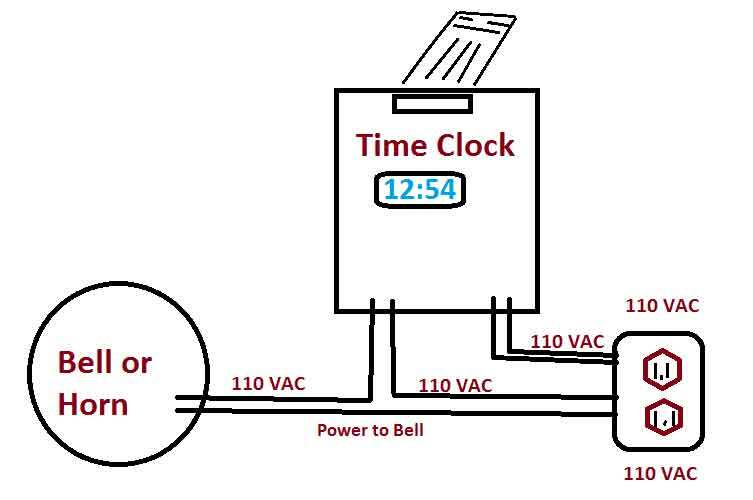 This is the wiring diagram. The Icon SP250 can ring up to 16 times on any day.